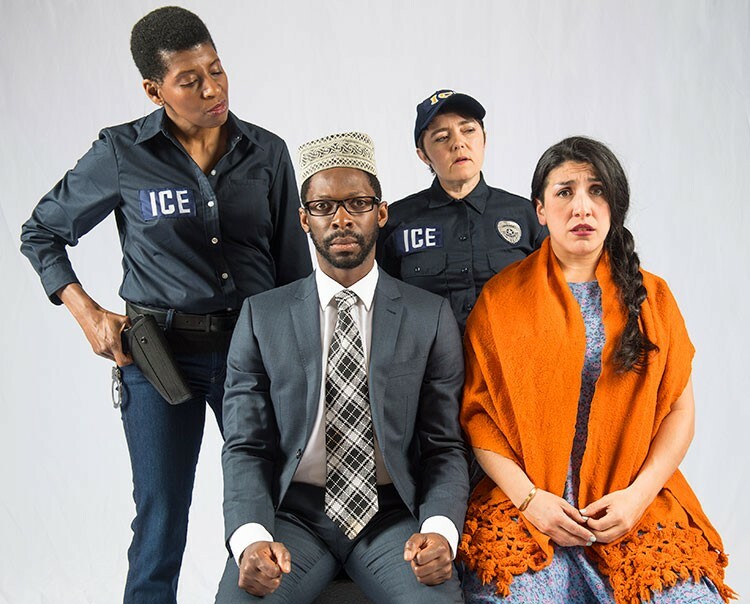 The Tony Award-winning San Francisco Mime Troupe is back at the Mateel Community Center for another humorous and thought-provoking performance with its latest, WALLS, a political satire about immigration, playing Saturday, July 15 at 8 p.m. ($22, $20 Mateel members, $18 advance). Now in its 58th year, the troupe brings its engaging and entertaining brand of socially relevant theater back to Humboldt. The troupe does not perform pantomime but, rather, "mimes" in the ancient sense of the word: to mimic — presenting the burning issues of the day in satirical ways, aiming to make audiences laugh, as well as allowing them see their issues/concerns played out in a show of solidarity and perhaps through a different lens of consciousness. With lots of singing, dancing and humor thrown into the mix. With that in mind, WALLS asks the question: How can a nation of immigrants declare war on immigration? Why, fear, of course. With a healthy dollop of hypocrisy. In WALLS, L Mary Jones, a top U.S. Immigrations and Customs Enforcement agent, stokes fear to keep her country safe. Fear of a Somali refugee escaping oppression, fear of an Irish woman yearning to be American and fear of Zaniyah Nahuatl, an undocumented immigrant, with whom she is in a relationship. Makes for a tough day at work and troublesome homecoming, no? Don't miss this evening of food, music and consciousness-raising art. Doors and dinner (from the Mateel kitchen) are at 6:30 p.m., followed by the Mime Troupe band at 7:30 p.m. and curtain at 8 p.m.